At some time you will need the services of a lawyer. Whether it is for a house or vehicle purchase, ideally, you need one that speaks ENGLISH. In David city there are an estimated 3,000 lawyers. We are YourPanama.com have dealt with one law firm since 2005. They speak English, they will answer your emails promptly and they will not over charge you. Candanedo & Candanedo Montenegro Abogados. Juan Antonio Candanedo is part of a family firm of lawyers, well established in the City of David. 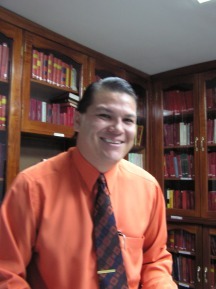 He speaks English and has become our lawyer and adviser on all things Panamanian. He came to us from a long line of people who highly recommended him. "He is thorough, efficient and he is the only lawyer we trust to act for us."